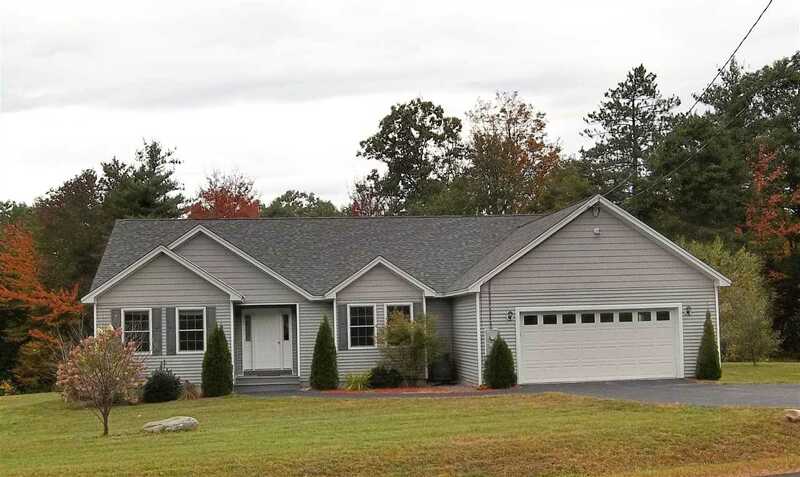 Are you interested in the homes for sale in Littleton, NH? Real estate sell quickly in our area, so it’s crucial that you do your research, and be fully prepared for the process before beginning your journey towards homeownership, and dive into the fast-paced real estate world. The team here at Linwood Real Estate recognize how important this decision is for you and your family, and we are familiar with fluctuations in the market. In addition to many other tools for buyers we have available on our website, we’ve created our Latest Listings page to showcase homes that have just been added to the Linwood Real Estate Listings. This page is intended to help ease the process of finding the home of your dreams. Check out the information below, and find out which residential homes have just hit the market, and determine if one of these properties might be fit for you. If you have any questions, contact us right away. Whether you’re interested in homes for sale in Littleton NH, or commercial real estate in Franconia, Lincoln, Weare, and throughout New Hampshire, the professionals here at Linwood Real Estate will work tirelessly to find the perfect home for you. Location, location, location. 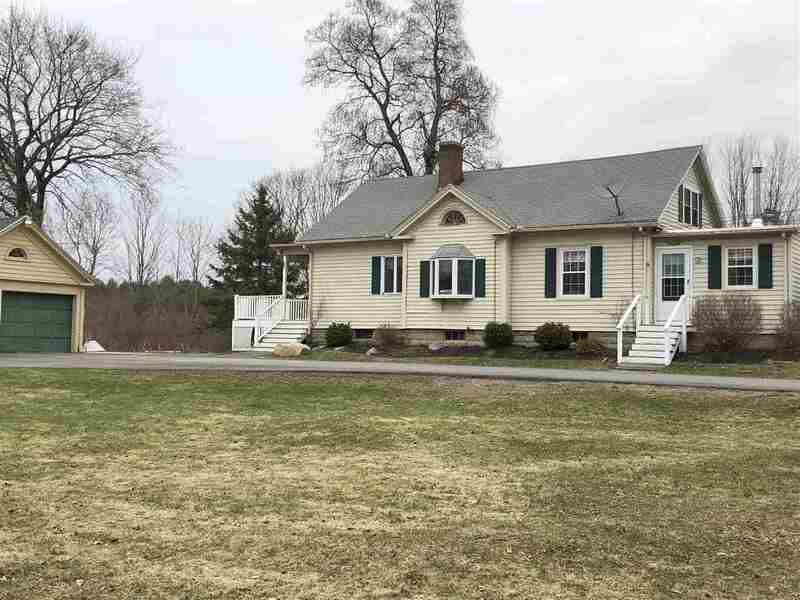 Lovely New Englander nestled on 2 beautiful acres in the highly sought after town of Rollinsford. First floor features kitchen, open concept dining , living, family room plus two bedrooms and full bath. Upstairs features reading nook, 2 more bedrooms and full bath. Oversized detached garage, wood stove close to downtown Dover. Enjoy a beautiful country setting yet close enough to all the amenities the area has to offer, shopping, restaurants, etc. Marshwood and Somersworth school districts. Set up a showing today. I know its hard to believe, but Summer is right around the corner and you could be enjoying it in your very own in-ground pool? 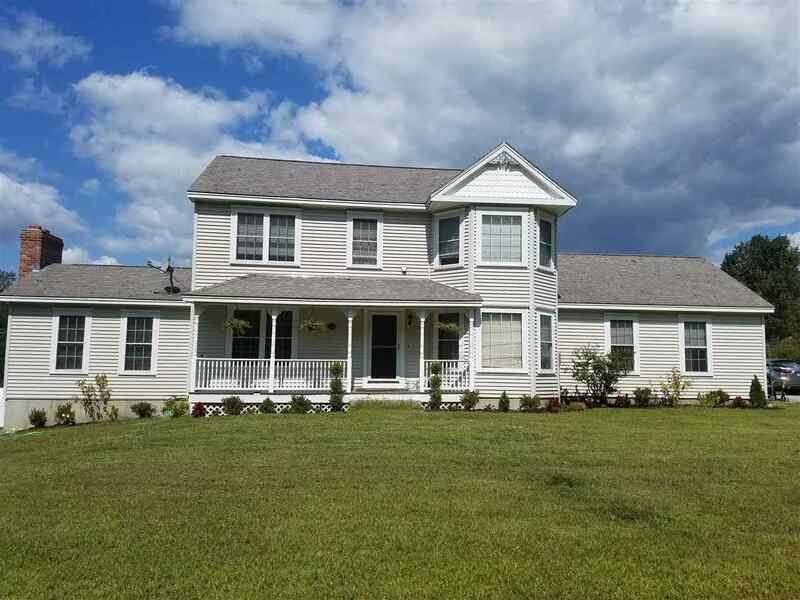 Home and pool sit on over 2 acres with plenty of open space for play. Children & dogs have plenty of room to spread out plus an invisible fence so you don't have to worry about your puppies, though you will want to keep an eye out for all the wildlife that stroll though! If you're looking to live off the land, you'll have your very own peach trees, blueberry bushes, apple tree, strawberry patch and native grapes. And when you're done with all your outside activities, come inside to this warm and inviting home. The first floor has a step-down family room with wood-burning fireplace, vaulted ceiling, built-in book cases and ceiling fan. The kitchen has newer stainless steel appliances and a separate eat-in area, plus a formal dining room, half bath, mud room and office or living room area. Upstairs is the master suite with one walk-in closet plus an extra closet (either for him or your shoes! ), full bath with jetted tub plus separate shower, 2 additional bedrooms, another full bath and laundry. All bedrooms have ceiling fans and there even is a whole-house attic fan. Home has 2 covered porches, one in back and one in front. Plus the front yard boasts a lovely stone wall, beautiful birch trees and woods for privacy. All this on a cul-de-sac plus the outstanding Bow school system! Granite & under-mount sinks being installed 5/21/18. Lovely Contemporary Ranch in desirable Chesterfield Heights. This home is well maintained and has a attractive layout…. Located between Brattleboro, VT and Keene, NH, and within proximity to Spofford Lake, Pisgah State Park, Chesterfield Gorge, and other area trails and attractions. Open concept floor plan, updated efficient galley kitchen including large walk in pantry, kitchen island, & stainless appliances. First floor private laundry room. Nice size bedrooms with great closet space…. Wood floors throughout most of the home. Most of the interior freshly painted, and more! Attached 2 car garage with direct entry to a mud and coat area. Much much more….Don’t miss this gem! It won’t last long! Breathtaking views overlook the Connecticut River Valley, Green Mountains of Vermont, mature vineyard, meandering babbling brook in the woods, and 27+ acres to hike. Elegance and detail abound in this warm and inviting home. Adjacent to your chef’s well-appointed kitchen, the formal dining room and sweeping mahogany and cherry staircase feature historical architectural details. The master bedroom retreat is complete with vaulted ceilings, serene lounge, luxuriously styled master bath spa oasis, and a private balcony to take in the sunsets. A second master suite (or office) offers privacy and full main-floor accessibility. The expansive hardwood decks off the kitchen, LR, and FR run the entire length of the home. A ground-level walk-out basement with full kitchen, bath, billiards area, exercise room, media area, and sauna is fabulous for entertaining or as an in-law suite. A separate multi-level building is nestled into the hillside, currently housing an elegantly decorated wine tasting room, spacious 3-season observation deck, powder room, loft, covered picnic pavilion area, and a winery production cellar, which could easily be reimagined as a guest house, rental apartment, or caretaker dwelling. The 5-car garage with two shops, office, and hobby room is a woodworker’s/collector’s/crafter’s dream. This vineyard estate has huge Inn/B&B/events potential, only 6 miles from I-91. Do one of these options catch your eye? Check out our mortgage calculator to ensure that the price is within your budget. If you have any questions or would like to talk to a New Hampshire Real Estate Attorney, or any of the other professionals here at Linwood Real Estate about real estate in New Hampshire feel free to contact us right away. We have office locations in Littleton, Franconia, Lincoln, and Wear. This list was created in April and is subject to change.